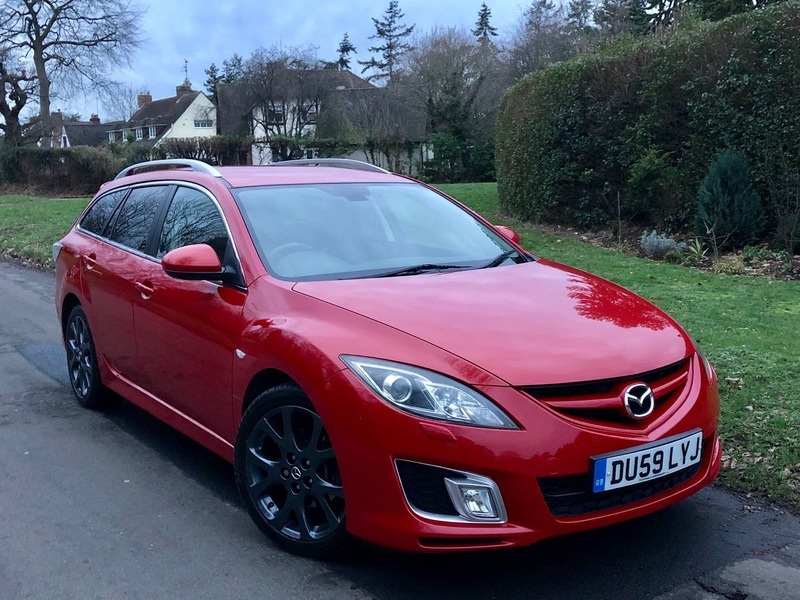 This stunning Mazda 6 comes with MOT until 23rd January 2020 and had no advisories, It can also be taxed ready to drive away today and at just £195 a year road tax this is cheap to run and with a combined MPG of 39 it is also great on fuel. It does have a good service history and has just been serviced and being a chain driven engine no need to worry about those pesky cam belt issues. Being the Sport model it has all the extras such as Keyless entry and Keyless push button start, 2 Key fobs, Newley refurbished 18 Inch Alloy wheels, Privacy glass, Roof bars, Front fog lights, Bluetooth, Heated front seats, Half leather seats, Xenon Lights, 4x Electric windows, Electric mirrors, Folding mirrors, Cruise control, 6 speed smooth gearbox, Radio 6 Disk cd player with Aux output and steering wheel controls, Duel Climate control, Tyre indicator light, Automatic wipers, Automatic lights, ISOFIX, Arm rests and cup holders front and rear, Bluetooth pairing, Split rear seats, Plastic boot protector, RVM (Rear Vehicle Motoring) DSC (Dynamic Stability Control) AFC (Adaptive front-Lighting System) and more. This really is a beautiful Velocity Red and looks stunning.